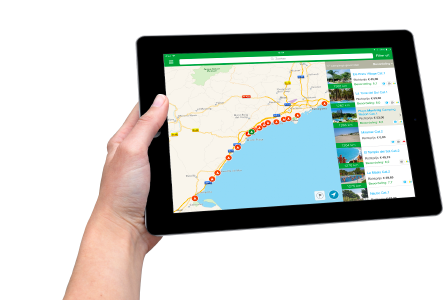 The ACSI Campsites Europe app helps you find a campsite or motorhome pitch that meets your needs. 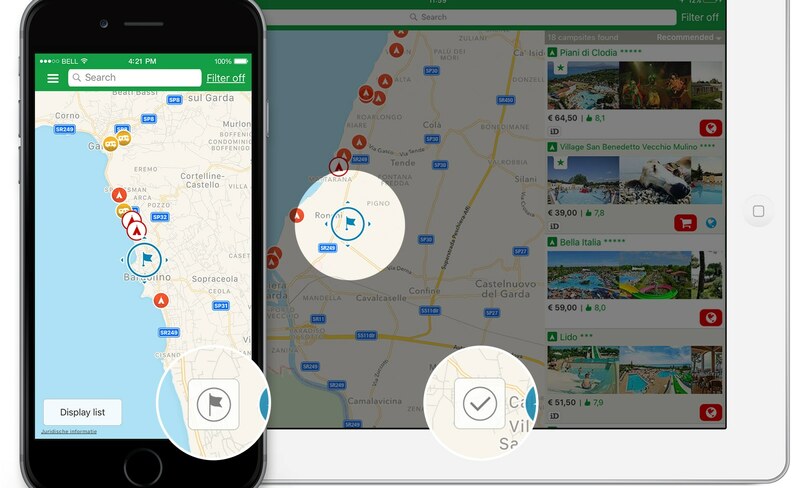 Because the app can be consulted even without an internet connection, you always have the campsite and motorhome pitch information at your disposal, wherever you are. 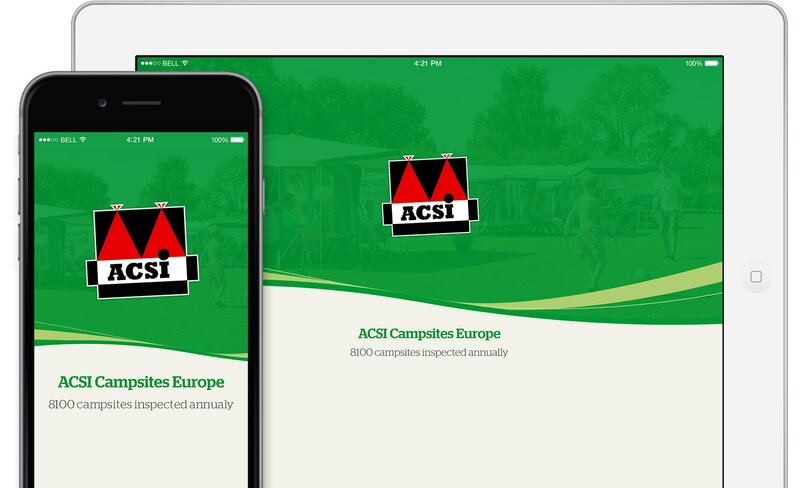 Have you already downloaded the ACSI Campsites Europe app onto your device? Then you can proceed to step 3 of this manual. 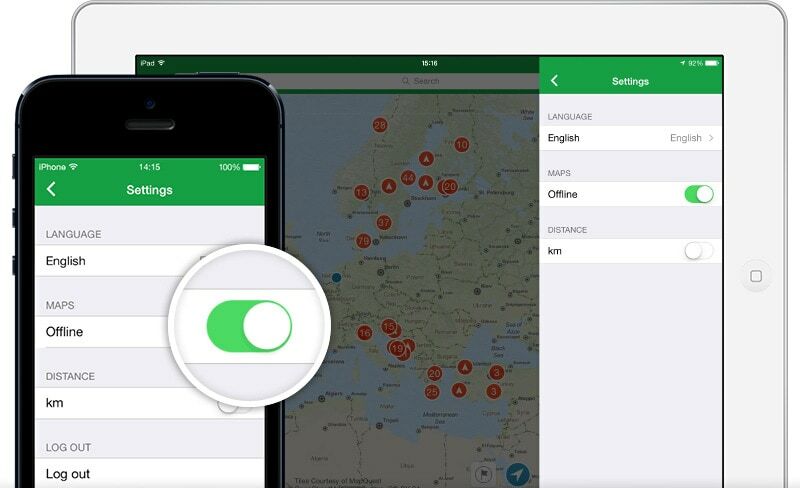 Here you will learn how to purchase campsite and motorhome pitch information for the app. Have you not yet downloaded the ACSI Campsites Europe app? Then proceed to step 2. Here we explain how you can download the app onto your device. To download the app, open Google Play, the Apple App Store or the Microsoft Store on your device. Search for 'ACSI Campsites Europe'. If the ACSI Campsites Europe app is not listed among the results, then your device is unfortunately not suitable. If you can you see the app in the results, then you can now download it to your device. 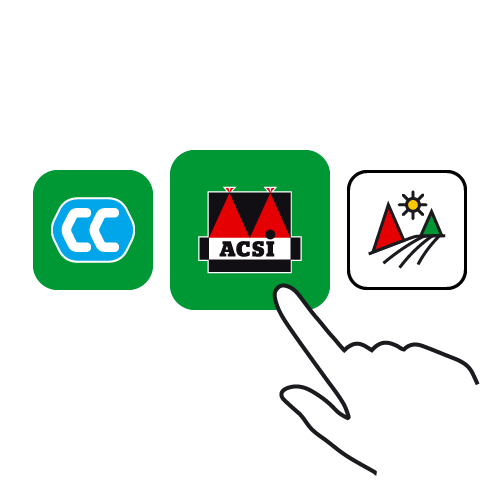 You can recognise the ACSI Campsites Europe app by its logo: a green square containing two red triangles (pictured here). The videos below feature step-by-step guides on how to download the ACSI Campsites Europe app onto your device. - By purchasing an ACSI Campsite Guide that includes access to the information in the ACSI Campsites Europe app (see step 3a). 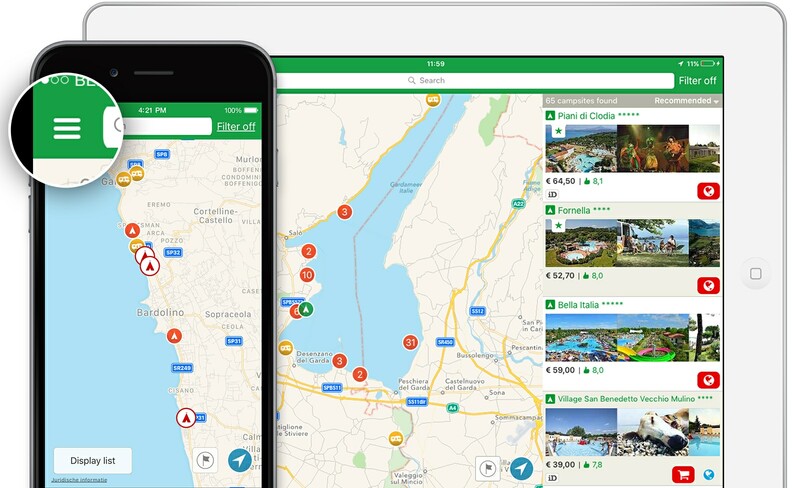 - By downloading the ACSI Campsites Europe app for free and then buying access to the campsite (and motorhome pitch) information in the app (see step 3b). If you have purchased an ACSI Campsite Guide including access to the ACSI Campsites Europe app, your guide will include a voucher with a code to unlock the packages. You will find instructions on how to do this on this page. Have you succeeded in placing your order? Then open the menu in the ACSI Campsites Europe app (tap the three horizontal dashes) and go to 'My ACSI account'. Enter your username and password and then press 'Log in'. 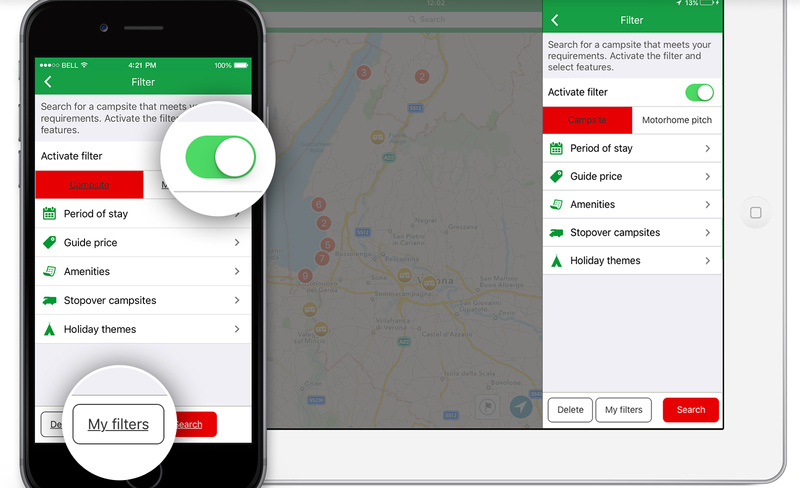 You can also use the ACSI Campsites Europe app without the ACSI Campsite Guide. In that case, you can download the app (free of charge) from the appstore, and in the app you can purchase one of the 9 country packages or the complete package. 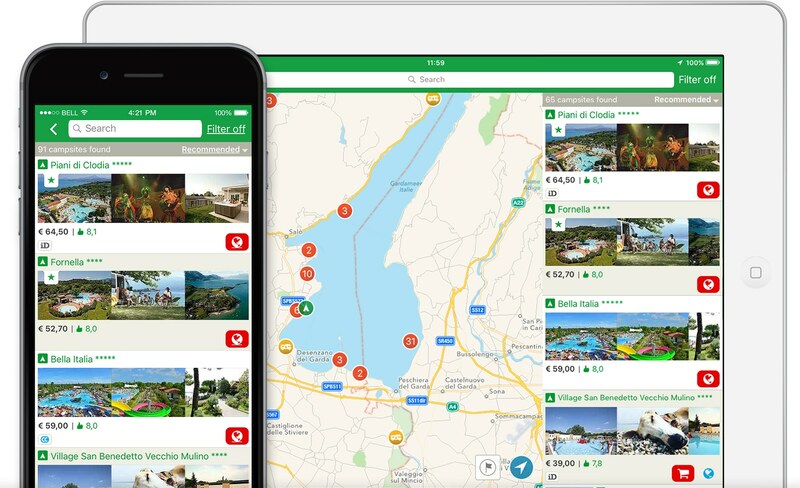 In order to allow you to try before you buy , you get 50 selected campsites around Lake Garda for free. If you are happy with the app after trying it, you can purchase the desired package(s). You buy access for 1 year. During that year you will receive free updates. 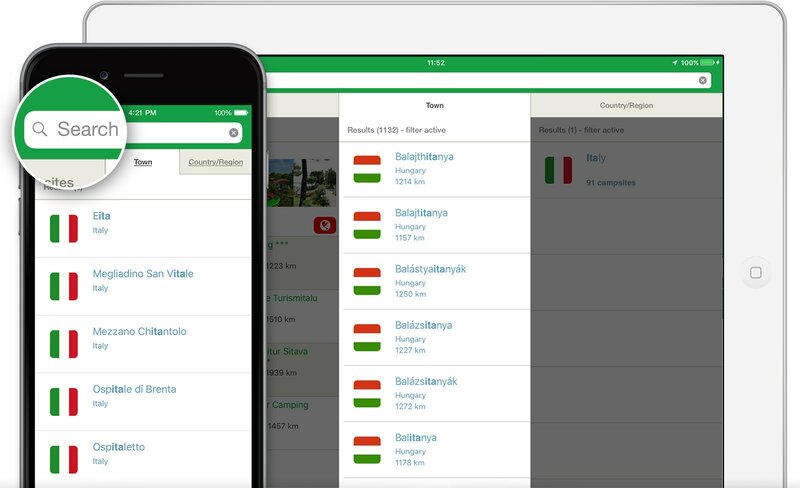 The ACSI Campsites Europe app contains more than 8,100 inspected campsites and can be expanded with 9,000 motorhome pitches. 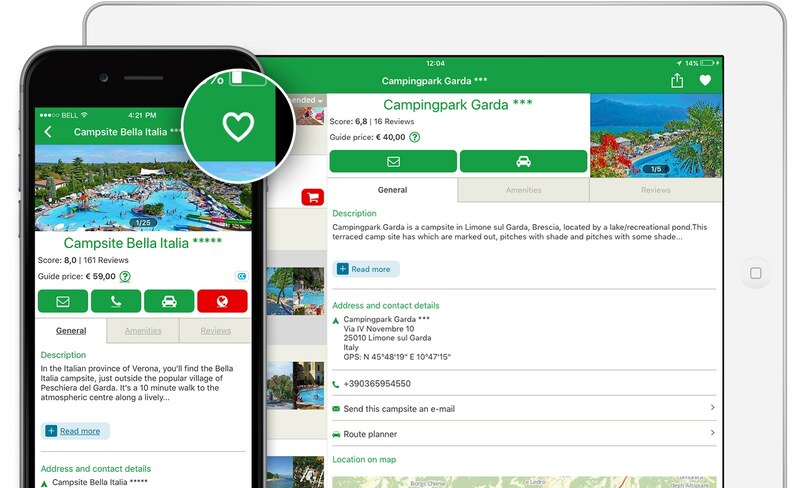 The campsites in this app are featured in the ACSI Campsite Guide Europe. Among the campsites there are also campsites that accept the special CampingCard ACSI rate in low season. This is indicated in the app. The so-called 'Great Little Campsites' are not included in this app. 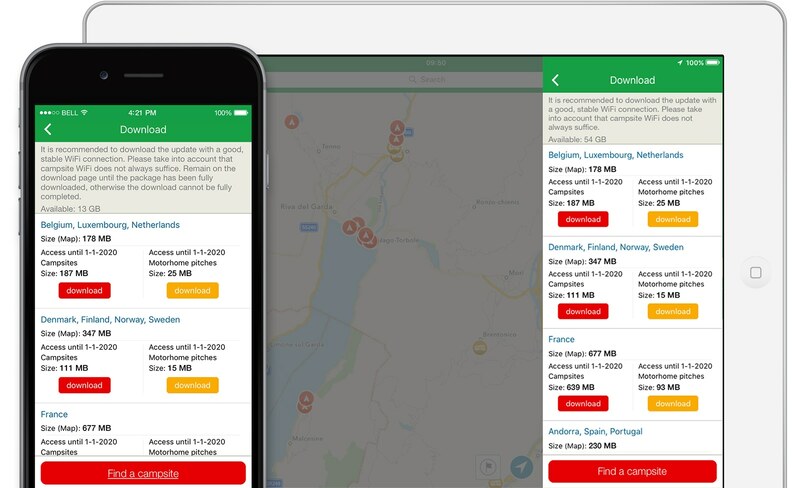 The ACSI Campsites Europe app information can be downloaded as various country packages. If you have any further questions about purchasing or using the app, first take a look at Customer Service. Select the product 'ACSI Campsites Europe app' and choose the subject of your question. If your question is not included, click on ‘no’ and fill in the contact form. We will deal with your question as soon as possible.